Sarah's Vineyard focusses on producing small lots of premium handmade Pinot Noir, Chardonnay and Rhone blends. We use traditional Burgundian winemaking techniques, appropriately enhanced with what modern technology will benefit the wines. We use only French oak barrels for maturing our fine wines. 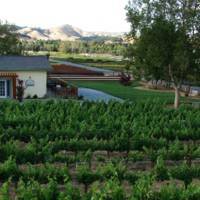 Most of our wines are Estate grown in our 20 acres of vineyard. We supplement our Estate wines with grapes from premium growing areas in the Central Coast for some products (Santa Lucia Highlands and Santa Cruz Mountains Pinot Noir and Chardonnay). 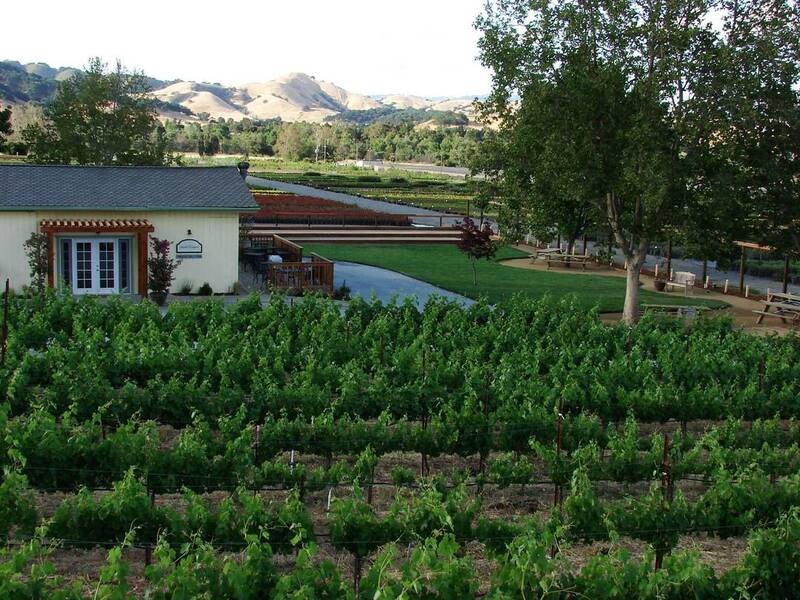 Founded in 1978 in the southwestern Santa Clara Valley, also known as Silicon Valley, Sarah’s Vineyard produces handmade Pinot Noir, Chardonnay and Rhone blends using traditional French winemaking techniques. 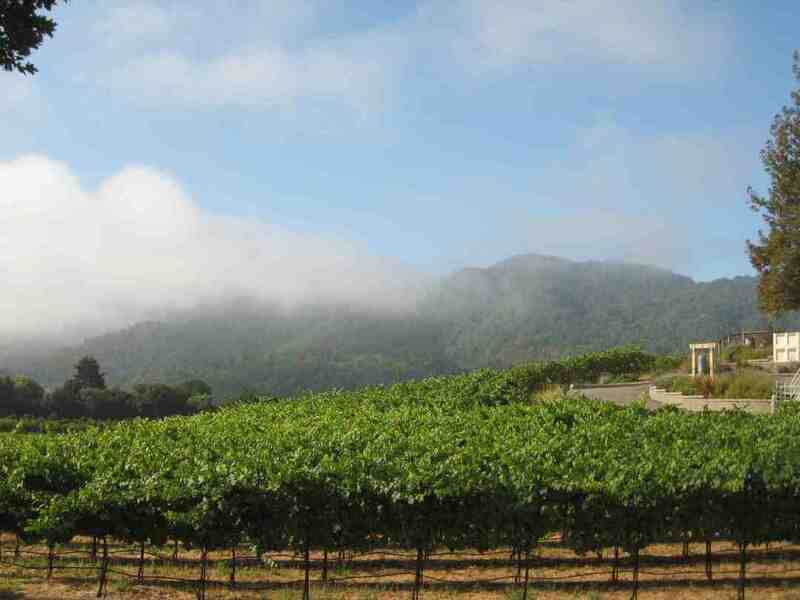 Tucked in the Santa Cruz Mountain foothills near a windy mountain pass, our vineyard enjoys coastal microclimate of foggy mornings, sunny afternoons tempered by strong ocean breezes, and chilly nights that are ideal for premium Pinot Noir, Chardonnay, and Rhone varietals. Our Founder Sarah came to this area filled with the desire to build a legacy of memorable fine Burgundian wines, and her small lots of Estate grown wines were highly sought after. Her unique and eclectic personality was equally memorable an she is still fondly remembered across the country by those who have been part of the fine wine industry since the 1980s. Sarah retired in 2001 and passed the baton to reclusive Silicon Valley scientist and inventor Tim Slater, who continues to fulfill the promise of this excellent growing area. The wine world has been taking notice in recent years, with a growing number of accolades for the quality of the wines produced at Sarah's Vineyard. 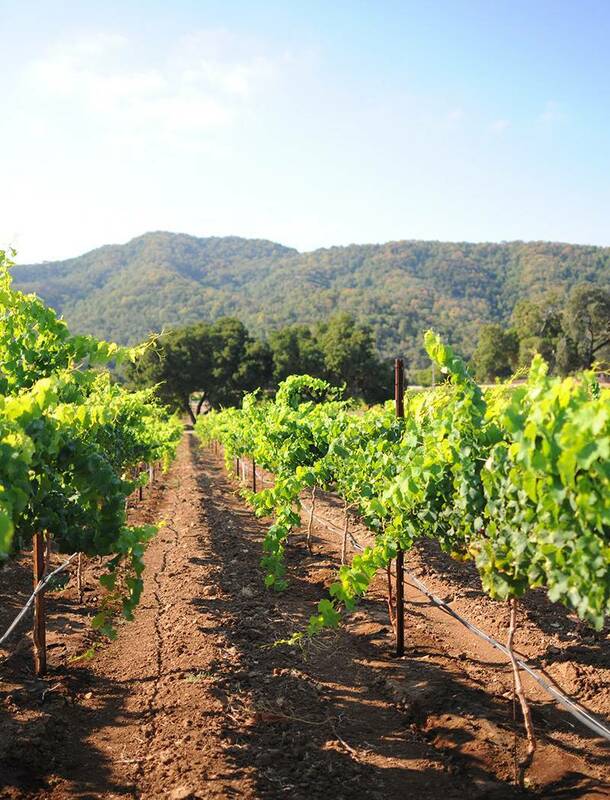 Our Estate vineyards are located in the cool "Madonna Pass" growing region about a half hour southwest of San Jose, in the foothills of Mount Madonna in the Santa Cruz Mountains. 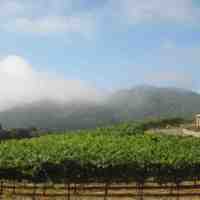 The vineyards are at roughly 300 feet above sea level, on lightly sloped land spilling north and south from a small hill in the center of the property. 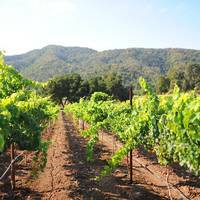 The Estate comprises 28 acres total, with about 20 acres planted to Pinot Noir, Chardonnay, Viognier, and a wide variety of southern Rhone varietals. Our microclimate is dominated by the sea. We are just 12 miles from the Monterey Bay and the strong onshore breeze notable along the California Central Coast reaches us through the nearby mountain pass. Our typical summer day begins socked in with fog, and stays overcast until about 10am when the sun burns through the clouds. Sometime between 11am and 1pm the sea breeze begins, peaking at about 4pm, typically blowing 5 to 10mph, sometimes quite a bit more. This cool ocean air gentles the hot summer sun, slowing the ripening process and protecting the delicate fruit flavors of our Pinot Noir. After sunset, the wind drops down to a lazy, relaxed flow, and by midnight the area is in the mid to low 50s. Our growing season in this area is quite long, with the winter rainy season not becoming prominent until typically December; sometimes we're harvesting as late as the last week of November for some varietals. Our vineyards are composed from a number of different soils; we have 6 distinct soil types across our Estate. A 200 yard walk across a vineyard will generally put three different colors of dust on your shoes. Typically these are gravelly clay soils, very deep, which have tremendous water holding capacity. We do irrigate our vineyards, using drip irrigation, but this doesn't begin until the first week of July when the vines have finished their initial growth spurt, are at least 50% of the way through veraison, and are beginning to show some stress from the lack of water. Generally we harvest Pinot Noir around the second week of September, Viognier a week later, Chardonnay a week after Viognier, and the Rhones sometime from late October to mid November. Winemaking at Sarah's Vineyard is a hand operation by a small team of dedicated professionals, in a small but state of the art facility. We use traditional French winemaking techniques like maturing wine sur lie (on the lees), batonnage (lees stirring), pigeage (hand punchdowns) and only use French oak barrels. We enhance the traditional techniques with appropriate new technologies such as the use of ozonated water for sanitation, high pressure heated water for barrel cleaning, nitrogen based pumping technology for emptying wine from barrels, a very gentle vibratory destemmer that produces whole unbroken grape berries for fermentation, dry ice to drive off oxygen and protect the fruit during cold soak, heavy use of nitrogen for sparing tanks before filling with wine to limit oxygen pickup when wines are prepared for bottling, and the latest optical wine testing equipment to monitor wine parameters. We also use an in-house state of the art bottling line for bottling with corks or screwtops. White wines are simply made. Fruit comes in, is weighed, and we immediately do whole cluster pressing to a maximum 1.5 Barr pressure. The juice is cold settled overnight and racked to barrels for fermentation. We mature the wines sur lie, lees stirred twice monthly, for 6 to 8 months. The one racking event is just prior to bottling. We use only French oak barrels, from a variety of cooperages. Red wines are a little more work. We bring in fruit and weigh it before crushing. Crushing is a bit of an odd term for us, as we never actually crush any grapes; in fact we don't even own a crusher. We use a very slow, gentle vibratory destemmer to separate the grapes from the stems, then pass the fruit over an automated sorting table to remove raisins, dirt, leaves and stem jacks. The whole berries land in clean picking bins and are never put through a pump; we move the fruit in the bins using a forklift. The berries are dumped into fermentation vessels with dry ice to remove oxygen, and the berries are allowed to cold soak for 3 to 6 days, until we see the onset of a robust native fermentation. The cap is managed by hand, with punchdowns 3 times per day. Once primary fermentation is done, free run is pulled off and barreled down for the premium wines, and after pressing the press juice is kept separate for use in lower tier products. We mature the reds n 100% French oak, ranging from 10% new in Rhone products up to 35% new oak for our premium Pinot Noir, or 50% new oak for our Reserve Pinot Noir. All of our reds are handled with the same care as the delicate Pinot Noir, resulting in very fine flavors in varietals normally associated with stronger, rougher palates. Wine Tasting at Sarah's Vineyard is a popular pastime with locals and visitors from far away alike. Our tasting menu is updated monthly and features 2 while wines and 3 reds wines. When you visit, bring a picnic basket and hang out for a little while, maybe play some bocce ball or just chat and enjoy a bottle of wine. From late May to early October, we host a Friday night music night; admission is free and we feature popular local performers.